Hello, my name is Jane Anderson, and I am the lead writer / blogger for “Making Happy Happen”. 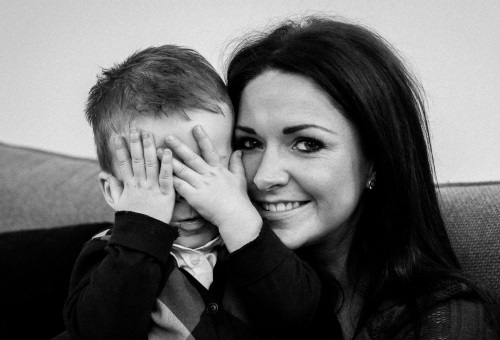 Me and my son Jack – sorry about him hiding his face, but isn’t he still the cutest? Most mothers will agree that raising children, while definitely worthwhile, is not always easy. Not in the slightest. In fact it can be extremely difficult. But what often gets lost in the hustle of watching children grow up in front of your eyes, is the health and well-being of the mothers themselves. Our goal is first and foremost to help mothers raise their children to be the best that they can be, providing guides and articles to that end. But we also strive to ensure that mothers are living a healthy lifestyle overall. From a physical standpoint to a mental one as well, we want mothers to grow themselves while watching their children do the same. Enjoy your time on this site.